SIDNEY —Shelby County Democrats are celebrating two prior red-headed presidents on April 11, 2019, by holding its annual dinner at The Palazzo in Botkins. The Jefferson-Jackson annaul fundraiser will begin at 6 p.m. 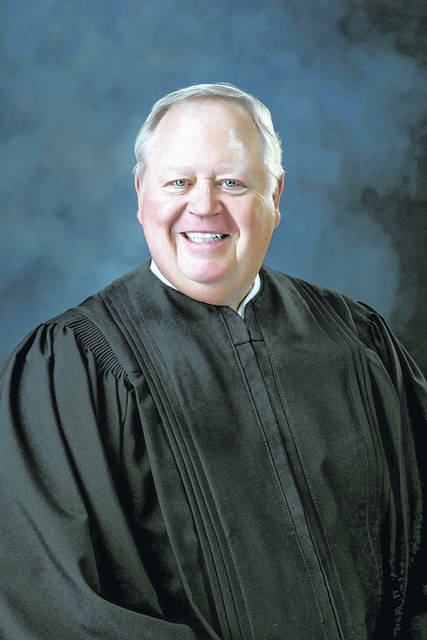 The featured speaker will be Judge Duane A. Goettemoeller, who is running for re-election as the non-partisian judge of Sidney Municipal Court. He has been the presiding judge since 2011. Goettemoeller will be speaking about growing up in Shelby County as the son of a farm family and blue collar workers. “Family First” has always been a rule at the Goettemoeller household. Baptisms, First Communions, holidays, graduations and weddings, always take first priority. This idea was an integral part of Goettemoeller’s upbringing. Goettemoeller’s father, Harold, a Korean War veteran, worked as an electrician for over 30 years at Sidney Electric Co. He also maintained a farm growing grain, raising beef cattle and hogs. His mother, Dolores, kept busy as well and worked as a welder at Stolle’s in Sidney before becoming a full-time mother of six and homemaker. As her children grew, Delores became a teacher’s aide at Botkins Local School. Goettemoeller is the oldest of six brothers and sisters including Jim, John, Nancy Jo (Stehulak), Joe, and Pam (Kaiser). Jim, John and Joe live in Botkins with their families. Pam is in New Bremen, and Nancy Jo in Defiance. Goettemoeller met his wife, Melody, Campbell in Cincinnati while attending the University of Cincinnati College of Law. In 1984 they married in McCartyville, and have lived there ever since. They have three children. Drew, the oldest, is a recent graduate of The Ohio State University, He lives and works in Cleveland, Ohio. Megan, is employed as a social worker for Catholic Social Services. Anne Marie, the youngest, will graduate from university in May and will be pursuing her doctorate in Neuroscience this fall at Emory University, Atlanta. Mrs. Goettemoeller is a Doctor of Nursing Practice and director of Trauma at Kettering Health in Dayton, Ohio. Social hour will start at 6 p.m., with the dinner at 6:30 p.m. Tickets are $25 each and may be purchased by calling Treasurer Mark Mabelitini, 937-672-6683 or Tom Kerrigan, 937-726-0625.